Medical necessity is the driving force for the payment of any service, but is especially worth noting when discussing laboratory testing. Standing Orders for urine drug testing in residential treatment settings are not prohibited, per se, but this practice must be built upon detailed policies and procedures that are precisely followed and are directed to individual patient needs. Each test ordered must be appropriate and necessary for the patient’s personal set of clinical circumstances. The frequency and number of repeated testing and duration must not be greater than what is medically necessary and the diagnosis must be indicated for each test to permit accurate coding to the greatest level of specificity. The treating physician must review each test result in order to make adjustments and changes for both frequency and number of repeated tests, as necessary, based entirely on medical necessity. The treating physician also needs to include the reason for the testing, for example, whether it is to be used as part of the patient’s medical or drug treatment plan. The treating physician needs to review the laboratory test result and the documentation must support the clinical or management action taken. Standing Orders should not routinely include a panel of all drugs of abuse. The tests should be focused on detecting specific drugs of concern. Laboratories must have on record and available a physician-signed, patient-specific order for every test performed and report. 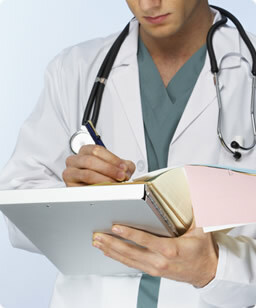 Standing orders that specify “No patient/MD contact” should never be a part of the practices and procedures. Generally speaking, non-specific Standing Orders are not considered reasonable or necessary for patient management and will be denied for reimbursement purposes. When there is no medical necessity information available for the patient and for each drug test ordered, the test will be considered a “Routine Test Order” and will be excluded from coverage by payors, leading to a denial of the claim. In many recent cases the denial of a claim is only the beginning of a domino effect that has led to an audit and/or an overpayment demand. Standing Orders can be a worthwhile tool during an extended course of treatment but they should be clearly defined in written policy and periodically reviewed to ensure legitimacy and confirm that the foundation for reimbursement is solid. This entry was posted in Claims Disputes, CLIA, Compliance Plans, Fraud & Abuse, Healthcare Business, Medicare Audit, Medicare Issues, Medicare Recoupment, Overpayment Demands, Pathology Labs, Physician Supervision, Toxicology Labs, Treatment Industry and tagged drug & alcohol treatment program, Karina Gonzalez, Medical Necessity, No patient/MD contact, Routine Test Order, Standing Orders, toxicology laboratory. Bookmark the permalink. Great article, and oh so timely. It seems the rumors of providers being shut down for over-utilizing toxicology screens is finally becoming a reality here in Southern Florida.